As I have a big tripod for the cool stuff, Manfrotto 058, and a small one, the Sirui 1205X, for on holidays (read for when I’m lazy) this one had to be something in between. Not too heavy, not too light and easy to handle for my product photography in studio. At first upgrading to the Manfrotto 055 XPROB seemed like the most logical step to go. My dad has one and while it’s a great tripod, especially for the money, I found it a bit too lug for my taste. Then Benro jumped though my mind. They have some fantastic tripods, some geat carbon ones at a third the price of a Gitzo. Still, when handling them at work, I sometimes had trouble locking the different leg sections when doing it the wrong way. Knowing I can easily get frustrated by such little issues I found myself looking at the Gitzo tripods instead. Qua design and finish nothing beats this brand. With design I do not mean looks but how the build is designed. Then it really was a matter of deciding between basalt and carbon. I don’t care about the lightest tripod for its specifications so no specific need for carbon. Seeing that carbon would result in making my wallet a hell lot lighter than with basalt I leaned even more towards the latter. 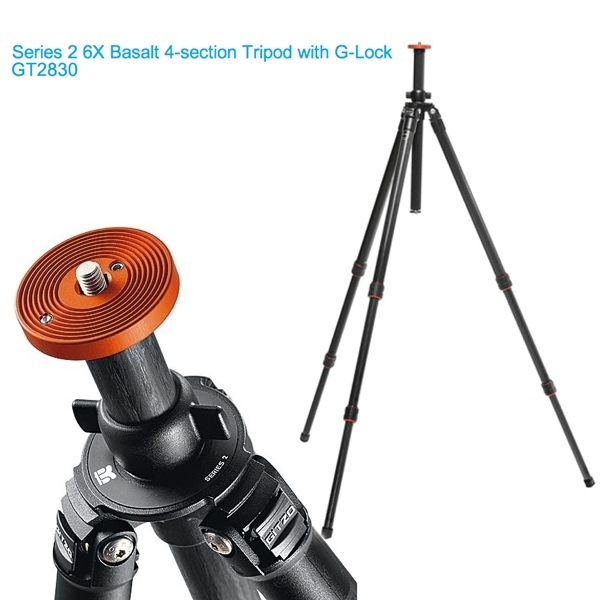 We had two models at where I work that got my interest and seeing that the shoving in and out of the legs felt much smoother with the basalt than the carbon tripod I made the final decision to go for the Basalt version GT2830 and I am as happy as a goose! This entry was posted on June 5, 2012 by Contrastique. It was filed under Atelier Contrastique and was tagged with benro, gitzo, manfrotto, Tripod.